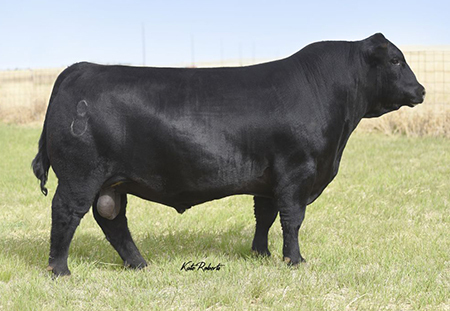 A cutting-edge SimAngusTM pedigree-Payweight 1682 x dam of Cowboy Cut. Chosen for his phenotype, muscle expression, body type and excellent feet. Expect heavy muscled, deep bodied progeny.